This was the best part of this trip besides getting to know new friends. All of the below pictures were taken from the sky in the AS K-21, a two seated glider. 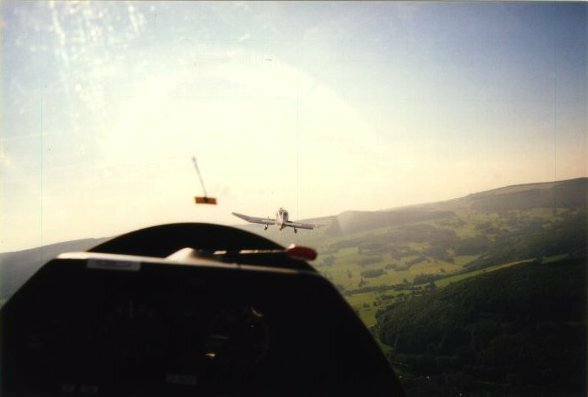 A photo taken while following the aircraft. In case you are interested, let me state that the airspeed was 110km/h, we were rising at 3m/s and the altitite was about 300 meters. 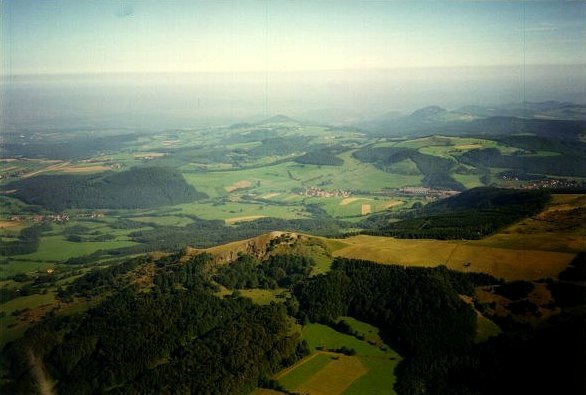 You can see the beautiful lanscape of Rhön in the above photograph. 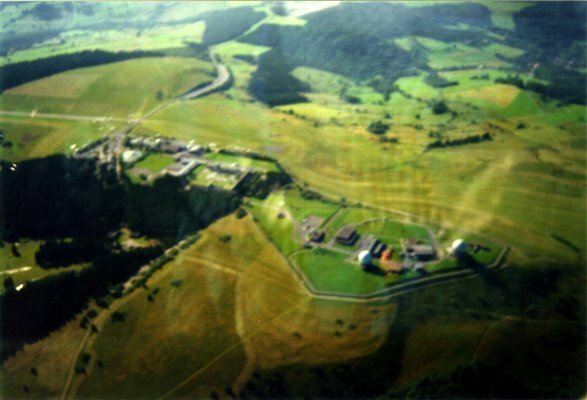 A view of the Wasserkuppe from the sky. To the left is the runway. 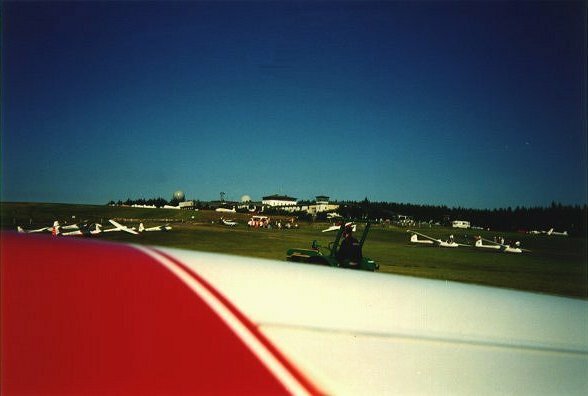 And the last, a picture taken while the glider is being pulled back to the start position by the tractor. I hope you liked the pictures, please send me your comments.